The California State Legislature was busy during the 2015-2016 session, considering and passing bills that will have a big impact on employment in California. Below, you’ll find a quick summary of the new laws that will have a significant impact on employees and employers statewide, as well as changes that will affect Bay Area employers and employees in particular. Speak with a San Francisco labor and employment attorney about the ways in which these changes could affect you or your company. The California legislature passed two laws which will affect the rights of employees who arbitrate claims against their employers. One provides parties the right to have a certified shorthand reporter transcribe any deposition or arbitration hearing as the official record of the proceeding. The second law makes it unlawful to require a California employee to arbitrate their claims in another state, or according to the laws of another state. While employees have long had the right to take leave in the event that they were the victim of an incident of domestic violence, stalking, or sexual assault, California employers will soon be required to provide notice of this legally-protected right to take leave. As of July 1, 2017, employers of 25 or more employees will be required to “inform each employee of his or her rights” to take such leave when those employees are hired, or upon request. The Labor Commissioner will create a form on this issue by that date. As recently discussed on our blog, the Fair Pay Act’s protections will soon go beyond gender to prevent discrimination based on race and ethnicity. These changes take effect on January 1, 2017. As we’ve also discussed in a recent post, the law now prevents use of an employee’s prior salary as the sole justification for a disparity in that employee’s pay. This law enters effect on January 1, 2017. California employers are now prohibited from asking job applicants or employees about any convictions, arrests, or proceedings against that person while they were subject to the jurisdiction or process of the juvenile court. As of January 1, 2017, the California minimum wage for companies with 26+ employees will become $10.50/hour. In the City of San Francisco, the minimum wage will become $13/hour. As we’ve discussed in a prior post, the federal requirements for classifying an employee as “exempt” will soon change. As of December 1, 2016, employees classified as exempt must be paid at least $47,476, in addition to meeting the other criteria under the law to be classified as exempt. As of January 1, 2017, employers in the City of San Francisco who have 50 or more employees will be required to provide six weeks of fully-paid parenting leave to their employees. California benefits will provide 55% of that employee’s wages, and the employer will be required to make up the difference. Employers with between 35 and 49 employees will be required to provide paid leave as of July 1, 2017, and employers with between 20 and 34 employees will need to provide leave as of January 1, 2018. 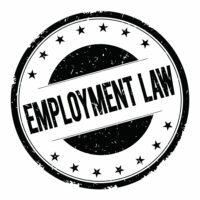 If you are an employee in California and believe you may have a claim for damages against an employer, or if you are an employer who would like assistance ensuring that your policies are in compliance with the current state of the law, contact the experienced and seasoned Bay Area employment law attorneys Rand Stephens & Richard Koss. From the San Francisco Peninsula, contact Richard Koss at 650-722-7046, and in the East Bay, contact Rand Stephens at 925-757-1700.